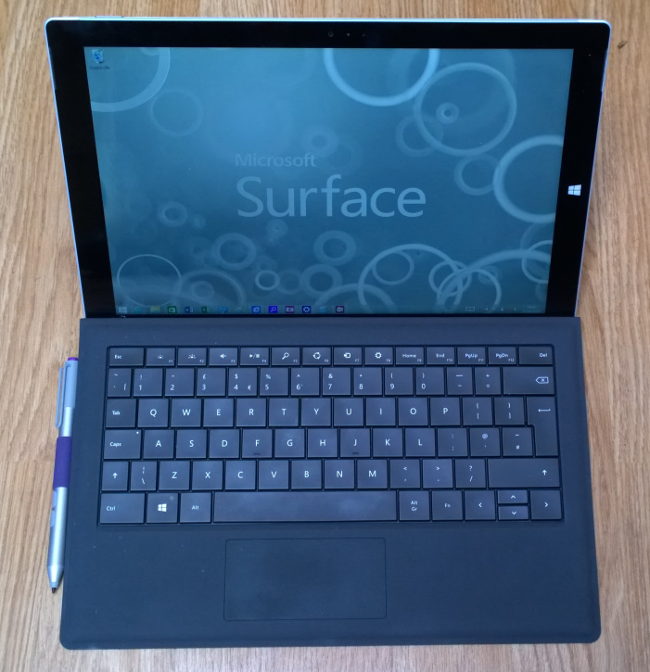 Review Microsoft’s Surface Pro 3.0 tablet sees its UK release on 28 August. But why is the Surface fondleslab called Surface? Microsoft hijacked the name from one of its own existing products, the niche tabletop display now called PixelSense, but a remark by vice president Panos Panay at the October 2012 launch of the first Surface tablet shows why the team liked the name. In other words, Surface was designed to show off Windows 8, which back then meant TIFKAM (The Interface Formerly Known As Metro), Windows Store apps, and multi-tasking with a split screen. “The 10.6-inch screen is the perfect expression of Windows,” said Panay. Customers did not buy it though: neither Surface RT, which was the subject of a $900m write-down in July 2013, nor Windows 8 in general. At least not if they could help it. Look for a business laptop today, and “Windows 7 preloaded” is the constant refrain. Further, the dismal selection of apps in the Windows Store means that even those who do have Windows 8 tend to use it in desktop mode most of the time. Fast-forward to May 2014 and the press event for Surface Pro 3.0. “This is the tablet that can replace your laptop,” says Panay, explaining that the larger 12-inch screen is necessary for a device on which you can do all your work. There is a new focus on desktop applications. Whereas the competitive target of the original Surface was Apple’s iPad, Surface 3 is aimed at the MacBook Air. It is a radical change of direction, but more in tune with what Windows users want: a light, portable device that runs everything that runs on the desktop. What you get is a large but thin and light tablet in configurations varying from Intel Core i3 with 4GB RAM and 64GB SSD, to Core i7 with 8GB RAM and 512GB. The device I reviewed ahead of the official UK launch had a Core i5 with 4GB RAM and 128GB SSD, second from bottom in the range, price £849 including VAT ($999 in the US). Performance was good but that 128GB SSD is too small for comfort; for many users, the i5 with 8GB RAM and 256GB SSD makes better sense, at £1109.00 inc ($1,299 for US customers).